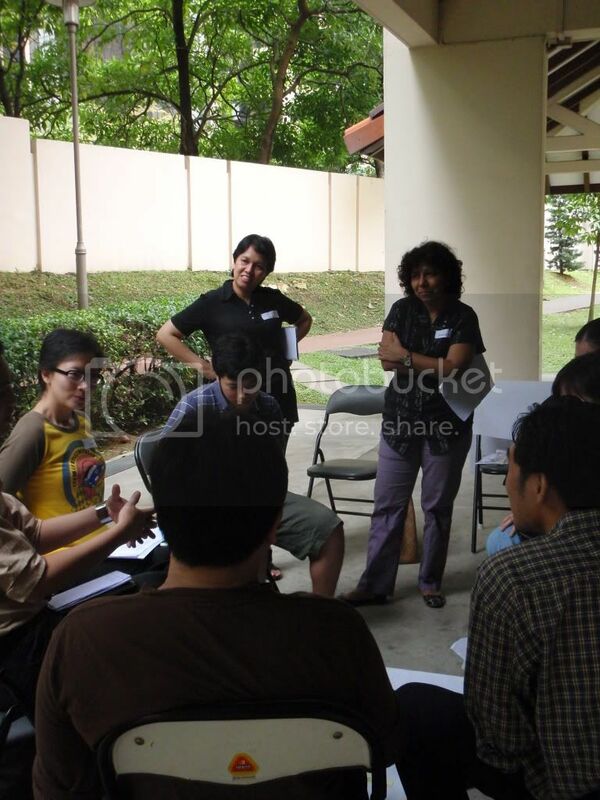 Cerelia Lim reports on a human rights workshop held last week. WHEN PEOPLE do not know their human rights, abuse and discrimination steps in, said Ms Natalya Twohill, a speaker at the Whose Right Is It Anyway workshop on 31 October. 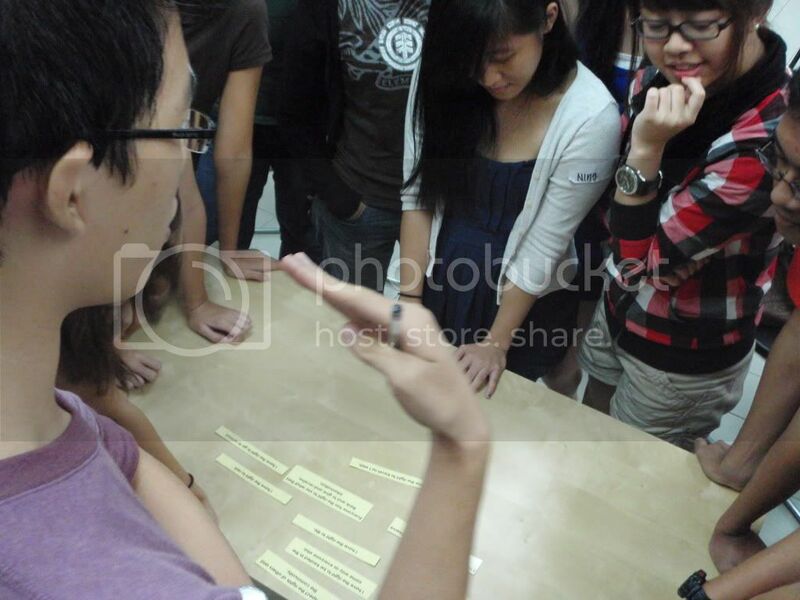 The workshop held at AWARE centre saw more than forty people defining what human rights meant to them and understanding the stark differences in rights enjoyed among different groups of people in Singapore. The event started with four speakers giving their perspectives on human rights. Ms Twohill, founder of the United Nations Youth Association in Singapore(UNYAS), spoke about her work at the Thailand-Myanmar border, where she and her fellow co-workers introduced a project aimed at giving the Karen Children equal educational opportunities and standards. “The right to education is part of human rights”. added Ms Twohill, who is a third year Arts and Social Sciences Student at the National University of Singapore. The second speaker, Mr Alex Au, who owns popular blog Yawning Bread, where he writes regularly about local social and political issues, spoke about the need to understand human rights as a relationship between an individual and the state. He used two case studies: the extended family hierarchy and the condominium management committee to explain the relationship between our rights and the state. Contrasting the two scenarios, he said that if we identify ourselves as a member of the family hierarchy, we would ask for permission before doing anything. The condominium management model, however allows us to see ourselves as partners to the committee, and decisions made will be agreed in discussions between us and the management. The audience answered NTUC Fairprice and Malaysia. She then replied by asking them if the bananas come from the Malaysian government. She drew on that analogy to explain that the products or services we buy are inherently tied to corporations. Human rights are inherently tied to businesses as much as governments should take the lead in upholding them. Rounding up the panel speeches, Ms Braema Mathi, the ex-president of AWARE, said that just as it is important that we bring to attention human rights abuses that have happened, it would be better if we intervene before it happens. Explaining further, she said that when we see someone being denied of a right, we should not just ask what has happened but also why it happened. Calling upon the audience to reflect if getting involved in social causes is a lifestyle affair or systematic trend, she said that many youths prefer to pursue their careers first before thinking about what they can do for issues they are passionate about. She added that passion for social causes should not be an ad-hoc affair; rather it should be seen as part of your life. The panel speeches were followed by a question-and-answer session. A secondary school student asked Mr Au if complete freedom of expression is possible in Singapore. He said yes and explained that the problem only comes when an individual’s freedom of expression affects another person. Elaborating further, he said that the issue with us is that if we curtail our right to say something so much, we end up not saying anything at all. Another student, from a junior college, asked Ms Sumi if she meant that human rights should be under the responsibility of private corporations and not the government in her speech. Ms Dhanarajan then clarified what she meant by outlining the different roles corporations and the government should play. After the question-and-answer session, the participants were split into three groups: students from the secondary schools and junior colleges, undergraduates and working adults for break-out sessions. To allow them to understand that the human rights applies to everyone from all walks of lives, the organisers had the participants take on the roles of different people in society. Some of the roles they took on were: the son of immigrants who run a successful food business, a 71-year-old homeless Karang Guni, and a 22-year-old lesbian. They were then asked to decide if the identities they have assumed face these situations. Some of the situations were: having adequate social and medical protection for their needs, never encountering any serious financial difficulty and having decent housing with a telephone line and television. The participants were also asked in their groups to decide which aspects of human rights were the most important to them. The conclusion was eventually reached that their perception of the most important aspect of human rights is based on their life experiences.